“People are hungry all year round,” says Gillian Murphy, interim CEO of the Emergency Food Bank. It’s a simple enough statement, but once you let it sink in, it packs a punch. Because while the Emergency Food Bank sees an uptick in volunteers and donations during the holiday season, once the time for charitable deeds slips from most people’s minds, there’s a significant dip in assistance from the public. For an organization that relies heavily on donations, that can mean troubled times. Each Monday through Friday, from 9 AM to 12 PM (excluding holidays), the Main Food Pantry offers emergency food assistance to residents of San Joaquin County. Food assistance is available twice per calendar month per household, and an average of 275 households are served each week. As the largest provider of packaged emergency food in San Joaquin County, the impact they’ve made in their 51 years has been incredible. In addition to their weekly distributions, their Thanksgiving and Christmastime giveaways always bring in large crowds. Over 2,000 turkeys and food boxes were given away during the November 2018 food box giveaway. Between donation drives throughout town and pleas placed in local newspapers and on social media, the Emergency Food Bank always manages to get enough to feed thousands of San Joaquin County citizens throughout each November and December. And while there is of course going to be an increase in visitors to the food bank when Thanksgiving and Christmas dinners are on the horizon, the fact is that those needs don’t disappear once the holidays are over. Almost 3.3 million pounds of food and nearly 1.5 million pounds of fresh produce were distributed throughout the year in 2017. So how exactly does it all work? While the idea of a food bank may call to mind images of standing in long lines to receive parcels, it’s a much more relaxed and welcoming environment. Waste, of course, is a problem that the Emergency Food Bank is keen to avoid. “If we get something perishable that we can’t use, we have other organizations that we’ll pass it onto, like St. Mary’s, since they’re preparing hot meals every day,” says Gillian. Additionally, the food bank has a program called Pantry Partners, which provides food to local churches and other organizations who are then able to distribute it from their own locations. Since the Emergency Food Bank relies heavily on donations, the food that is available at the food pantry varies per each distribution. However, any ideas that emergency food assistance means unappetizing rations are false: the Emergency Food Bank proudly offers its clients nutritious, balanced, and well-rounded options. 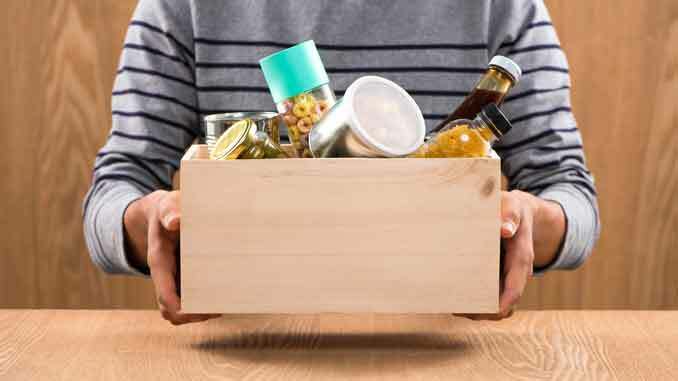 Anything from seasonal produce, to rice, pasta, dairy products, meat products, canned fruits and vegetables, bread, and peanut butter are likely to be on hand. High quality, delicious, and healthy meals are not to be taken for granted, and the Emergency Food Bank’s clients will always find themselves greeted warmly, and with respect. 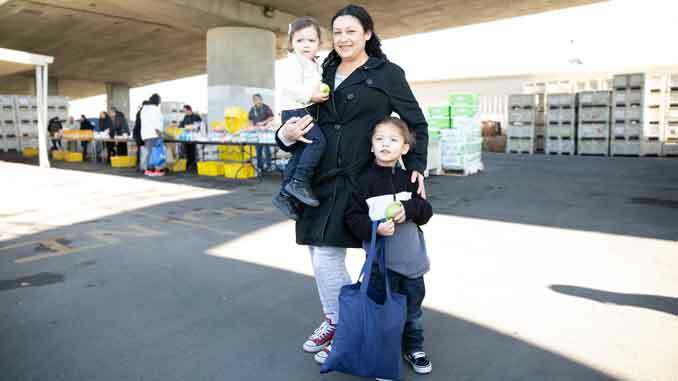 “Seeing hungry people get fed – that really is one of my favorite things,” admits Gillian. 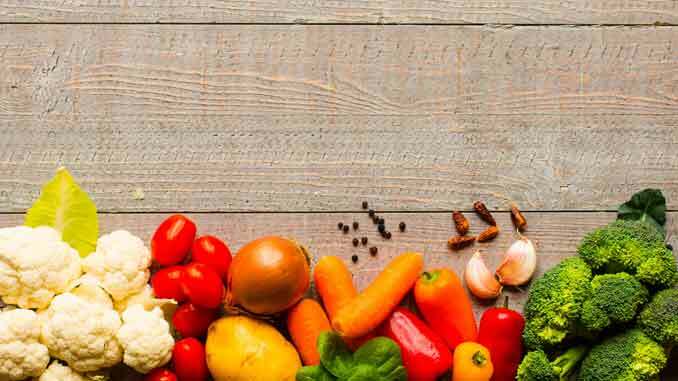 Even the most financially stable among us are likely to admit that it can be a struggle to meet the recommended suggestion of five or more fruits and vegetables daily. Whether it’s a lack of interest in healthy food, or a matter of forgetfulness, it can be easy enough to bypass those nutrients. However, when you simply don’t have access to fresh produce, meeting those dietary standards can become a serious problem. For many people within San Joaquin County, this is the case. Urban areas are often limited to liquor stores or convenience marts which are lacking in fruits and vegetables and instead carry high calorie, preservative laden foods. In such underserved areas, access to transportation can be hard to come by, leaving both supermarkets and good health out of reach. Thus, the Mobile Farmers Market was born. 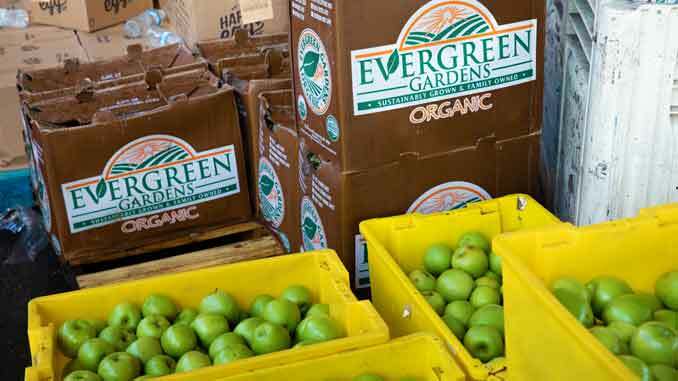 The goal of the Mobile Farmers Market is to bring nutritious food to families with children and seniors in these urban areas that are sometimes known as “food deserts.” By providing clients with fresh fruits and vegetables, the Emergency Food Bank hopes that this program will decrease hunger as well as prevent the types of chronic health issues that come with a diet lacking in nutrition. The concept is simple: if fruits and vegetables become available to people in underserved areas, they will eat them and be able to address serious health problems. Taking into consideration the fact that good eating habits start in the home when children are young, they began to go to schools and Head Start sites. In addition to obesity, a diet that’s lacking in proper nutrition can also lead to chronic diseases like Type II diabetes, and high blood pressure. But by simply having the option to make those necessary diet changes, such issues can be reversed, or at least made less severe. Ensuring that the community has access to fresh produce is one thing, but making sure that people know how to properly utilize it is a vital step that can’t be missed. And that’s why the Emergency Food Bank puts on food demonstrations at many Mobile Farmer’s Market stops. “What we try to do at the farmer’s market is incorporate whatever the fruit or vegetable is for the month,” describes Pat. “We hand it out and present a demo with it.” The demonstrations are kept short, 15 minutes at the most, wrapping up with a taste test of the finished product, and a hand out of the printed-out recipe. Aware that not everyone has access to basic nutrition education, the Emergency Food Bank began implementing another innovative idea – its Nutrition on the Move program. Similar to the Mobile Farmer’s Market, but in a permanent location that may not be accessible to everyone, it was designed to raise nutrition awareness in the underserved and resource-poor population. These free workshops focus on healthy meals, family food budgeting, and maintaining active lifestyles. And with the recent completion of the Emergency Food Bank’s Thomas F. Wilson Nutrition Education Center, the Nutrition on the Move program has been able to expand its services by offering regular classes when volunteer teachers are available, as well as a spacious classroom and fully functional demonstration kitchen. Efforts like the nutrition classes can stem the rise of obesity, cardiovascular disease, and Type II diabetes, all of which affect many people within the underserved community. Families can learn how to plan healthy, nutritious meals, made with food that the Emergency Food Bank gives out each week. “We’re just trying to introduce people to new ideas,” says Pat. She recalls the initial unfamiliarity that one group had with spaghetti squash. While it’s a nutritious and versatile vegetable, not everyone was keen to try it. But, she said, after the demonstration, people were astonished by the result. With workshops like My Plate, people can learn how to read food labels, providing a greater understanding of proper health, as well as ensuring that they are always practicing proper food safety and sanitation. Much like with the Mobile Farmer’s market, cooking demonstrations are also given, which helps families learn healthier ways of cooking. Courses vary on length and in material, even covering topics outside of nutrition, such as budgeting and shopping. Workshops are given at the food bank’s main location on Scotts Ave twice a month, but the Emergency Food Bank’s website also offers a handful of healthy recipes for anyone to try at home. “Donations and volunteers are the lifeblood of the food bank,” says Gillian. “Some people sign up as a group – like a business or a school or an organization – or you can sign up as an individual.” Volunteer tasks range from everything from helping to distribute food, to sorting food, to taking on office tasks as needed. Donations, of course, are either food or money, but both are extremely welcome. For the most accurate and up to date information on how to volunteer or how to make a donation, make sure to check the food bank’s website. “Sometimes, it does seem like it’s out of sight, out of mind,” laments Gillian. But the hope remains that the citizens of San Joaquin County will continue to keep the food bank in their minds, regardless of what time of year it is.